Medium Straight Hairstyles are both practical and stylish. 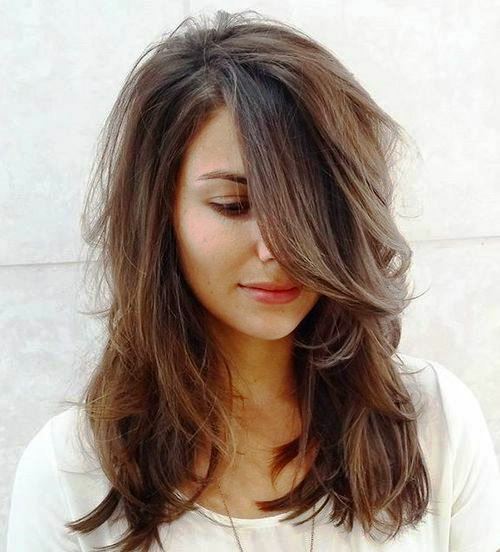 If you have quite a long hair and are not ready yet to chop it off, then medium length is a great option to start with. Medium length hair is always in fashion because of the comfort and style altogether. But sometimes, it gets boring to have the same hairstyles like the ponytails or other ones over and over again. So, you just need the change and versatility now, isn’t? Get ready to rock around! Because, there are 27 stylish hairstyles/haircuts that would alter your appearance readily with no more effort! 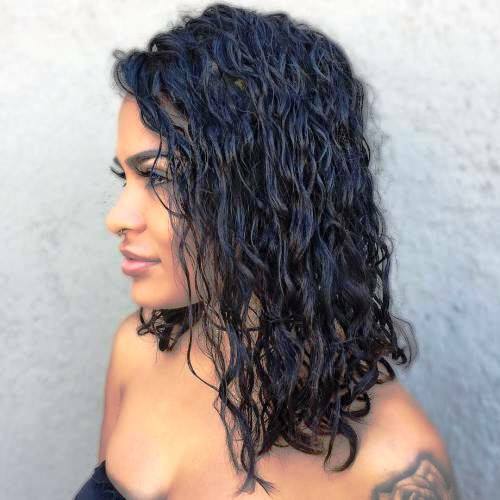 A number of haircut options are mentioned below which provide body, dimension, movement, and depth to your medium tresses. Just read on below and get the perfect ideas applied on your medium length hair to enjoy the looks around! Medium length hair along with sleek or straight kind of texture is super easy to maintain and style. 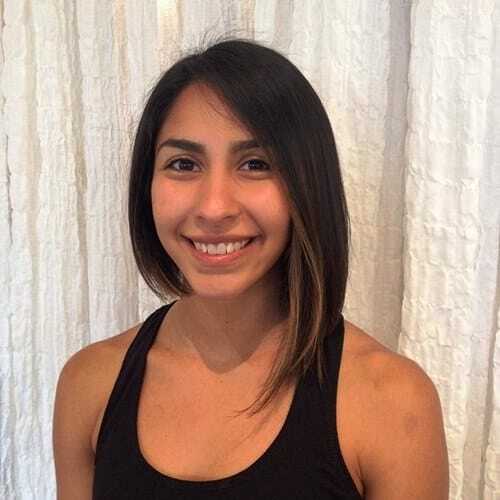 You can find a lot of options to rock your shoulder length hair. 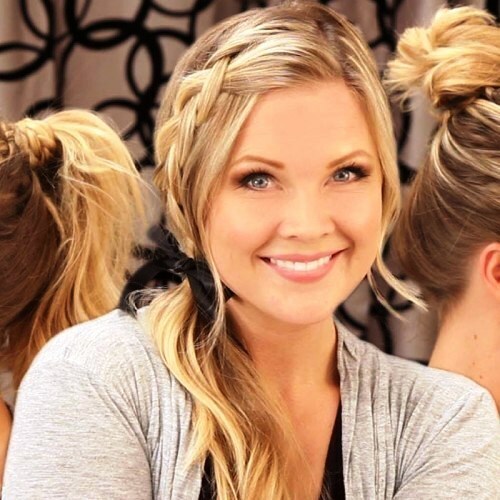 It gives enough room to experiment with the most trendy Downdos and Updos. Have a look at the below mentioned Medium Straight Haircuts and pick what you love the most!! Revive lifeless and limp hair by adding a bunch of long and short layers. Because, chopping the strands is an amazing way of adding movement and dimension to medium length hair. Moreover, use some mousse or hair spray to fix the locks and you are all set to go with this one of the trendiest Haircuts for Straight Hair. Straight, sleek, and brown strands don’t have to be considered as bored hair anymore. 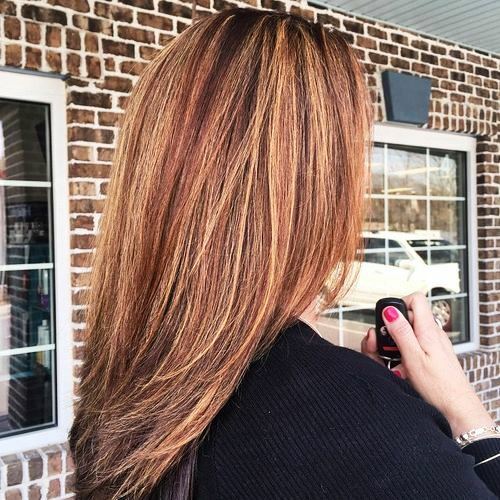 Just throw in lots of layers, some honey brown highlights, and get a good blow dry to achieve a fabulous look that will make every head turn. So, this sassy, sleek and straight haircut is one of the best Medium Straight Hairstyles undoubtedly. Nothing looks super amazing than a right choice of color for your mid-length hair. Plus, the platinum color dye has taken the hairstyle to an entirely next level. 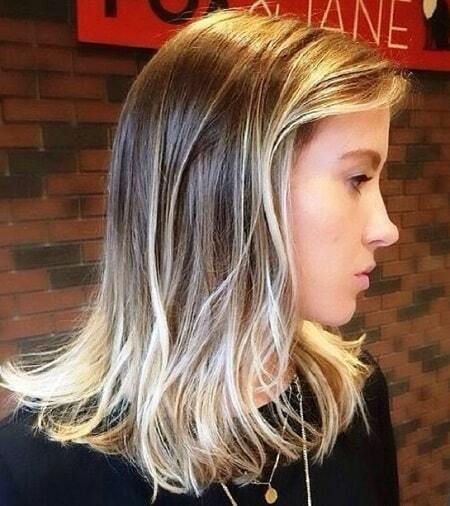 Instead of going for buttery and bright highlights, choose an ashy finish for hair. Thus, it will add some chic look and edge to your style statement. Getting confused what to do with medium length straight black hair? 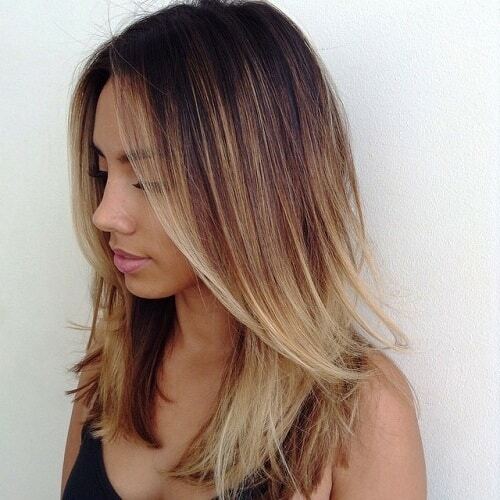 Ask your stylist to give an ombre makeover this season and see your personality getting a cute transformation. For some more edge, use a blow dryer or iron to flip out the ends. No doubt, this is one of the easily maintained Medium Straight Hairstyles. Are you having bad hair days constantly? 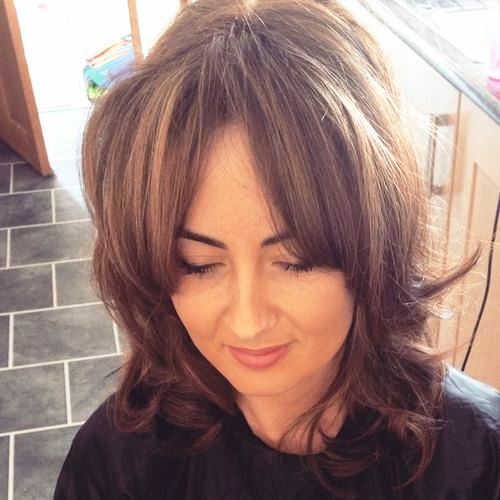 Impart some bouncy effect to your sleek locks by flipping the ends in a balanced way. Plus, use root lifting spray on the roots of your hair while it’s wet. Also, blow dry hair outward to achieve the perfect look. Lastly, fluff it slightly and gently with fingers and get some stunning style with this one of the most adorable Medium Straight Haircuts. Fine and thin hair can be complete fun with a fringe. So, put some more wispy bangs to the style and your medium length hairdo will look stunning. Moreover, to make your banging bang style more interesting, frame your face with bangs. So, grab this one of the super easy Medium Straight Hairstyles right now and rock around! 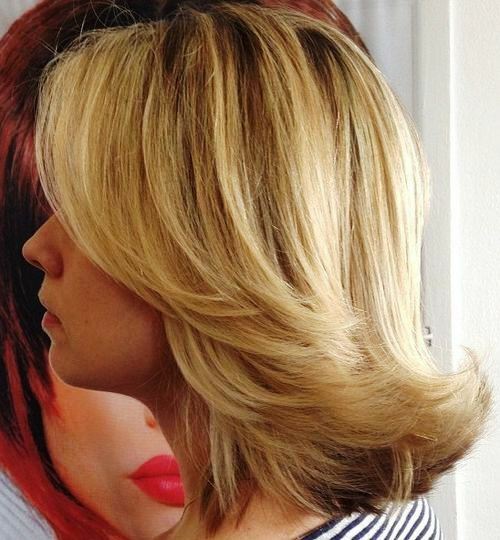 By getting a long bob, you can update your sleek shoulder length hairstyle in an elegant way. Because, it keeps your style statement trendy and stylish. Simply, you can impart angular layers which are longer in the front side and relatively shorter in the back. Hence, you will be surprised by seeing the instant and sassy results of this one of the coolest Medium Straight Hairstyles. You can make your straight hair look great by cutting it till the shoulder length and lightening up with the blonde and bright highlights. As, the ombre highlights are very trendy these days and are responsible to give your style statement an elegant factor. 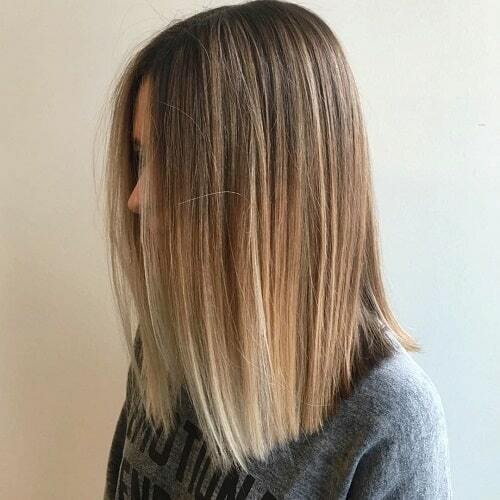 Don’t forget to keep roots a little darker to enhance the visual effect of this Medium Straight Haircut. Straight and thick hair can appear lifeless and heavy sometimes if left without any cute modification. By applying some curls at the end with a curling iron, you can create lots of dimensions. Just lightly spritz the curls with a flexible and lightweight hair spray. Hence, the end result is instant shape, body, and movement with this one of the coolest Medium Straight Hairstyles. 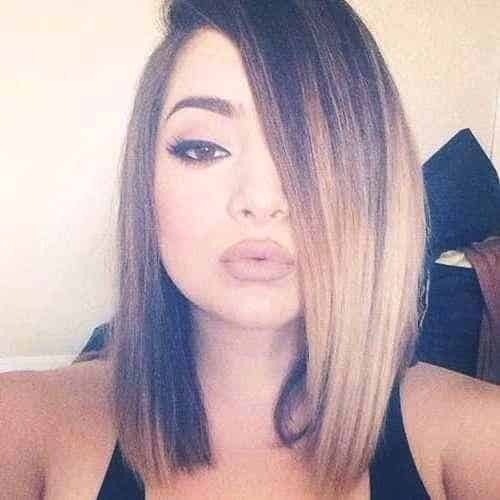 The layers look amazing if you have thick and full hair. But sometimes they look against with thinner hair. However, it doesn’t mean that you have to settle down for blunt, flat style for yourself having thin strands. By razoring the ends and using a proper technique, you can add some shape to your thin hair. 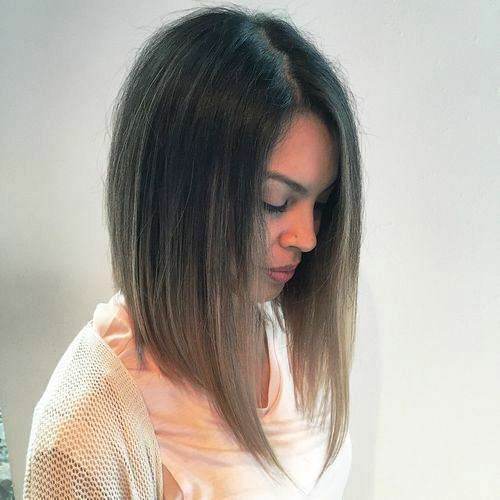 So, this Medium Straight Haircut will add texture to your style without consuming too much hair weight. 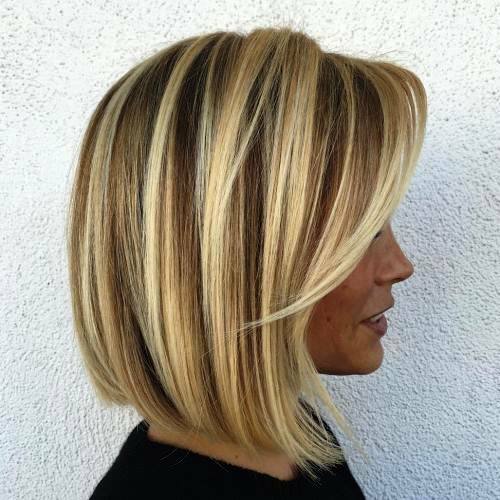 It’s time to transform your bob style by adding some fun and chunky strips of blonde color through the lower half of your hair. 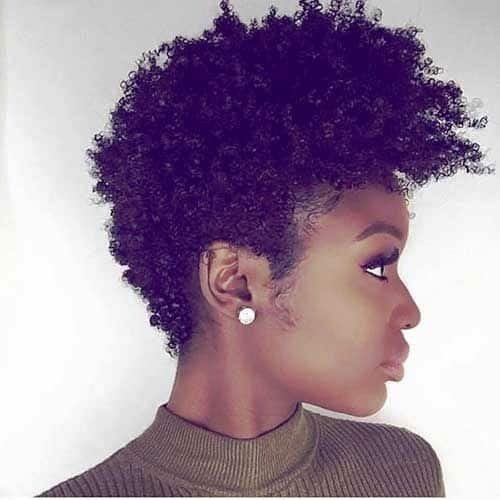 This stylish and edgy look is super great for those women with chocolate brown or black hair. 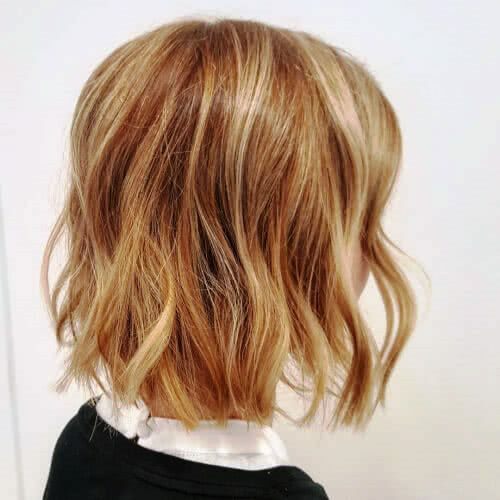 So undoubtedly, this mid-length bob lightens up the strands and is one of the extremely low maintenance Medium Straight Hairstyles. The easiest way of shaping your shoulder length straight hair is to add long layers. Because, these layers will impart much needed texture and pizzazz to your hair and look best on the round face women. Just try flipping out the hair ends using a round brush and blowing the locks. Then finish the polished look with a hair serum. And you have got bright, bouncy hair for all the informal events coming ahead with this Haircut for Straight Hair Round Face. By adding some feathered layers on the front side, you can give the desired life and body to your thin strands. Additionally, a long and razored fringe can easily frame your face and will result in an edgy style statement that will never go unnoticed. Hence, you can rock this summer with this one of the most elegant Medium Straight Hairstyles. Hence, this Medium Straight Haircut is a nice pick to choose this summer. Have you managed to keep your hair thick? Then try this old-fashioned, retro look that is still alive and hitting the style charts. Simply, take your hair a few decades back and give a try to this blunt, mid-length bob. And the end result is an elegant and sassy vintage haircut, which curls out slightly at the ends. Amazingly, the retro image never looked so adorable before. So, don’t wait to get this one of the most chic Medium Straight Hairstyles. No other steps up the haircut for sleek hair like arched bangs! These days, perfectly trimmed blunt fringes which bang across the forehead are super trendy and stylish. They look amazing with Medium Straight Hairstyles. And the best part is they are easy to style and require low maintenance. So, by choosing this haircut, get the best of Shoulder Length Straight Hair with Bangs. Taylor Swift rocks this classic and vintage haircut because it flatters her appearance greatly. In fact, this is a splendid idea for thin and fine hair. The imparted light waves give the necessary volume to strands. Furthermore, the pinned forehead bangs add a mysterious flair to the look. Hence, to get a feminine and adorable style statement this is one of the best Medium Straight Hairstyles. This trademark haircut of Nicole Kidman is quite achievable and plain, even if you have no styling skills. To get some flattering volume, back comb your hair at the roots, pull out strands with iron, and make a middle part. For ladies with triangular and oval faces, this one of the most chic Medium Straight Hairstyles is a nice pick. Because a middle part haircut flatters the facial features and regular shape. If you have straight hair, then remember this style when you visit your hairdresser next time. 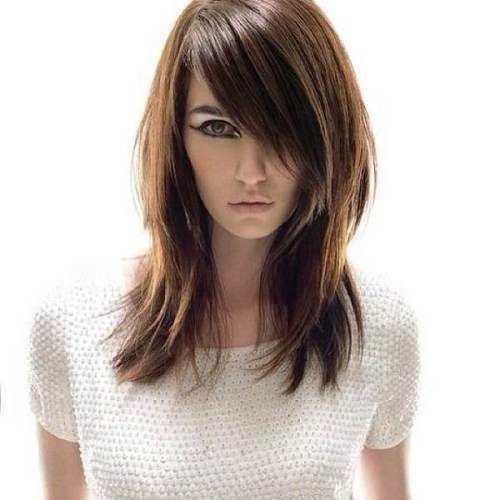 As this layered haircut along with relatively long side swept bangs is quite adorable and very easy to maintain. 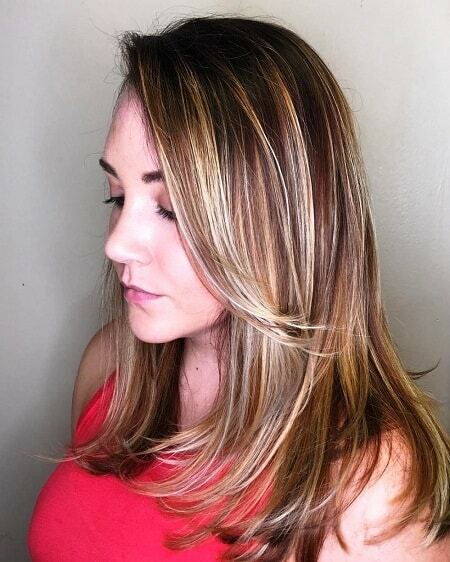 Moreover, the addition of blonde highlights along with darker roots creates a dimensional strands appearance. 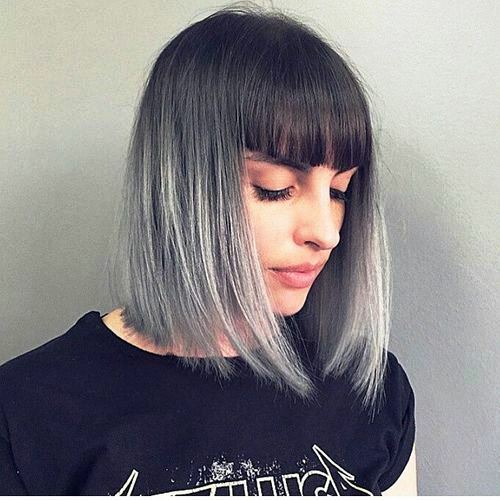 Graduated Bobs are at the peak of their popularity and taking the style scenes by storm these days. A-line silhouette is a simple A-line style for this classy and trendy haircut. In fact, the main secret of this style is very light waves in sleek hair, which are responsible for even distribution of the volume. Hence, this is one of the top picks Medium Straight Hairstyles for casual routine. A proper choice of hairstyle and volume enhancing color selection is the solution to hide the thin nature of your hair. A stylish and elegant updo can be done with medium length hair for evening functions. Just do back-combing and use boosting hair products to gain better results for thin hair. Moreover, introduce a messy look matching your free spirit nature. Dakota Fanning’s mid-length lob for sleek hair is all set to accentuate the woman’s angelic charm. This middle parted lob flatters oblong, triangular, and oval faces immensely. Especially women with square and round faces look best with Medium Straight Hairstyles which are a side part. Hence, this Haircut for Straight Hair Oval Face creates an alluring style statement for you. Women with round faces who are looking for Medium Straight Hairstyles which elongate their face roundness, this haircut is a good pick. Because, it involves elongating bangs and textured ends. With this kind of hairstyle, you will always look fresh and young, irrespective of your true age. Lastly, use a shine enhancer and get ready to bang! 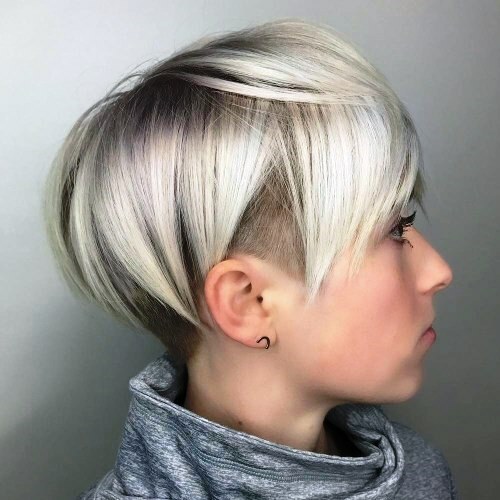 This haircut is quite special with the longer layers starting from the chin. As a result, the volume and texture of strands are revealed immensely from mid shaft to ends. With this adorable haircut, you can rock many evenings and daytime events. But don’t forget to apply good quality hair care products to keep the style charm. Hence, if you are looking for some all-rounder Medium Straight Hairstyles, then have a keen look at this simple hairdo. 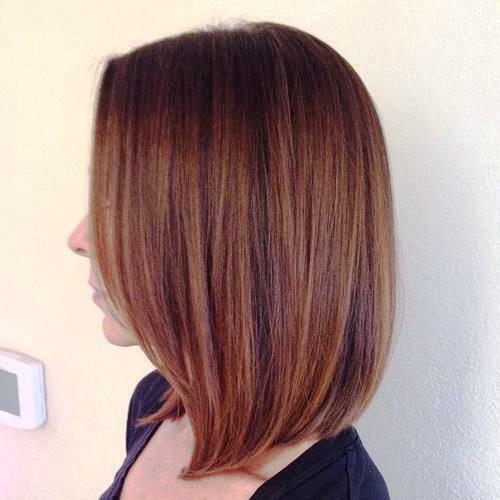 This symmetric bob with slight layers of medium length sleek hair is super cool as well as quite simple to style. Moreover, the addition of very light layers across the crown reveals the thickness of black locks. 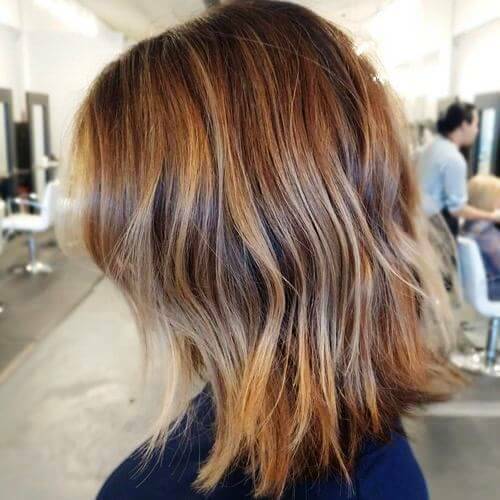 Whereas, the caramel ombre highlights further refine the style. This one of the most chic Medium Straight Hairstyles is a cool base for the other trendy haircuts. To accentuate the hair’s healthy shine and to preserve the thickness of locks, this one is a simpler kind of haircut. With this hairstyle, you can style your strands in any possible way. With bright blonde highlights, the haircut gets a new charm which is appealing to the whole audience. The problem with mid-length thin hair is the appearance of thin hair ends. So for this, you can add the feathery finish with a nice texture to your long layers. Plus, use a diffuser to blow dry your hair and put a shine boosting hair serum to appear flawless. 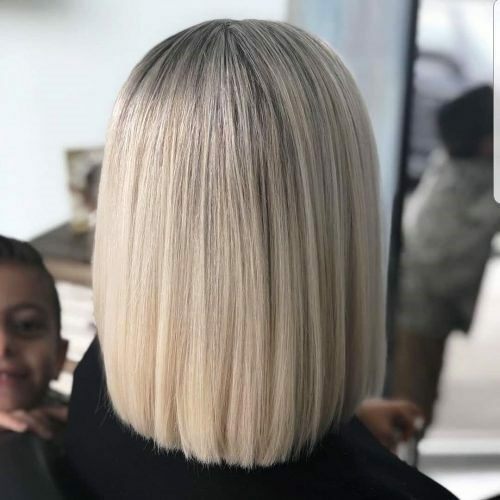 Having looked through the above mentioned Medium Straight Hairstyles, you have for sure made your mind that medium length haircuts are no more monotonous or boring. These haircuts cover most of the face types and hair looks. Furthermore, sleek and straight hair provides an easily styling option. All you need is a good curling iron and a shine boosting spray or any other hair care product to achieve the best of your good hair day. To refresh your appearance on the daily basis, choose the best of the Medium Straight Haircuts discussed and get ready to dazzle!